Rabbits are designed to run, and they love hurtling around on the grass, sprinting back and forth and doing big jumps in the air. In the wild, rabbits will run about 3 miles every day, and it’s important to make sure your pet rabbit gets sufficient exercise to stay happy and healthy. Rabbits who are confined to their hutch for most of the day will soon get bored, and will often eat too much, which can lead to obesity. Overweight rabbits will struggle to move the way they want to, and are more likely to suffer from cardiovascular diseases and joint pain. Bored rabbits also tend to over groom themselves, and can get problems with hairballs. You might not be able to give your rabbit a 3 mile run every day, but you should make sure that he or she gets at least 3 hours outside the hutch, so that they can stretch their legs and explore and socialise. The more space you can give them the better. Unless you have a very rabbit proof garden and keep an eye on your pets at all times, letting them run free in the garden is not a good idea. Rabbits are escape artists, and will find ways to get through the safest of garden fences or gates. They also run the risk of predator attacks, and ingesting something poisonous. 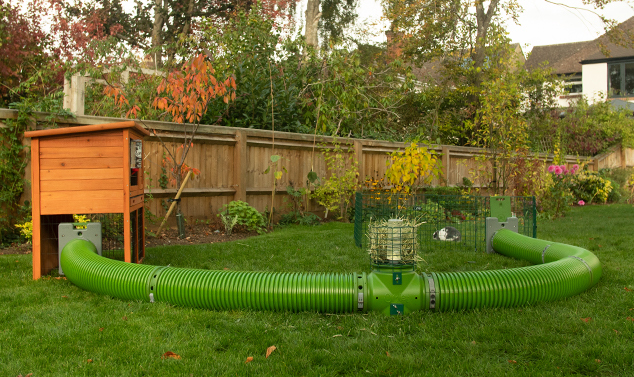 A good way of making sure your rabbits get enough exercise is to have hutch that is connected to a run, so that your pet can move in and out of the hutch whenever he or she wants to, like the Eglu Go. You can extend the run to make it bigger, but there is now also another way of giving your rabbits more space. 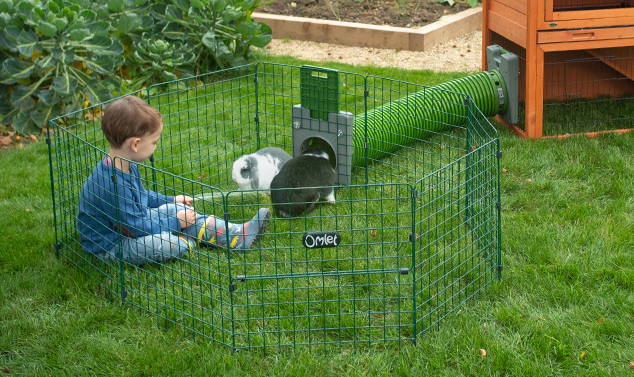 Omlet’s Zippi runs are cleverly designed playpens for rabbits and guinea pigs that allow you and your kids to spend time with your pets as they are enjoying a new patch of grass in the garden. The optional roof and underfloor mesh keeps the rabbits safe if you want to keep them in the run while you’re not around, and the skirt stops predators from digging in. The runs can easily be moved when the rabbits have trimmed the grass in one area, so you won’t have to get the mower out every weekend! Many people find moving their rabbits between the run and the hutch a very stressful part of the day. You want your rabbit to have a run around, but you probably don’t fancy chasing them around the run for half an hour every evening when it’s time to go back in. This can be solved with the Zippi tunnel system. 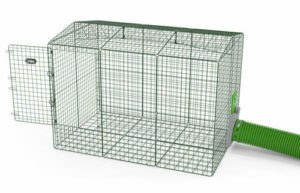 If you’ve decided to give your rabbits more space with a new run, you can easily connect these to their hutch and create your own system that the rabbits will love running in, as it’s a version of the warrens they would have created in the wild. The fact is that rabbits who have the freedom of moving in and out of their hutch as they please will happily go back inside by themselves when night falls, and then all you have to do it close the door that gives access to the tunnels. 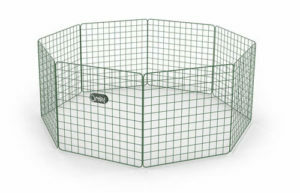 Make sure you furnish your pets’ new run or play pen with things you know they will love. Maybe you want to give them a few more hideaways? A digging pit? Or maybe a few boredom busting toys to gnaw on. You can see all the different versions of out Zippi runs and play pens on our website, so that you can find one that suits both you and your pets!